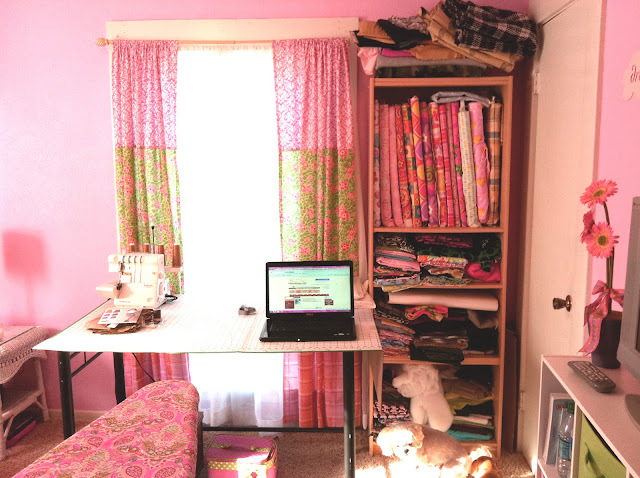 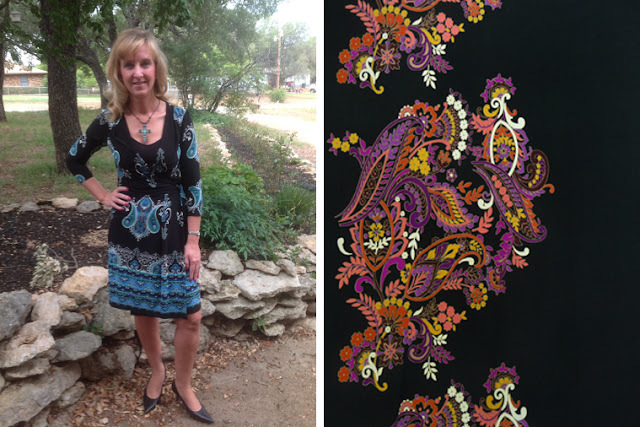 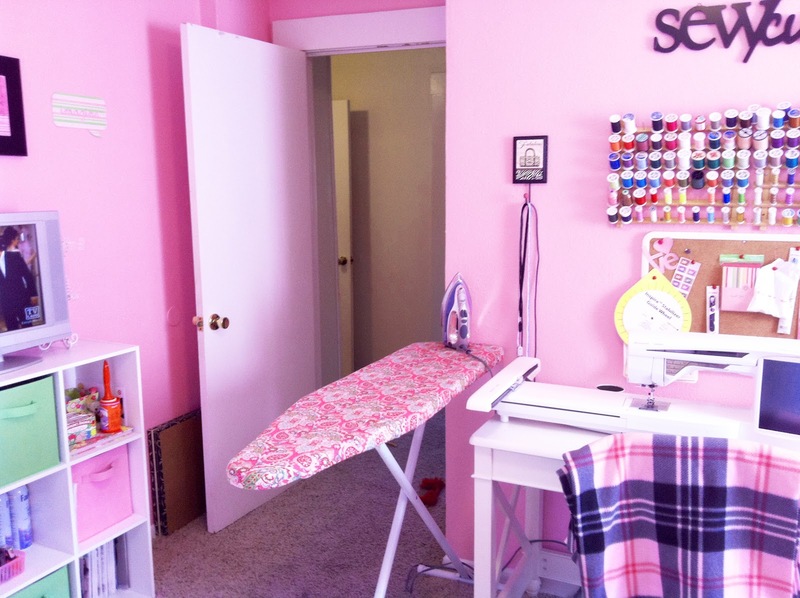 Fabric Mart Fabricistas: Fan Feature: Pretty in Pink Sewing Room. 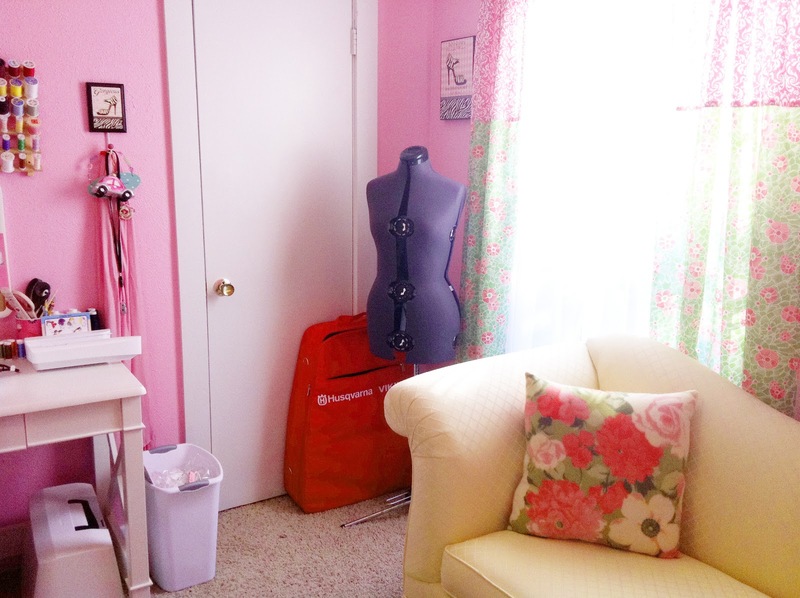 Wow - I love this room and it's in my favorite color. 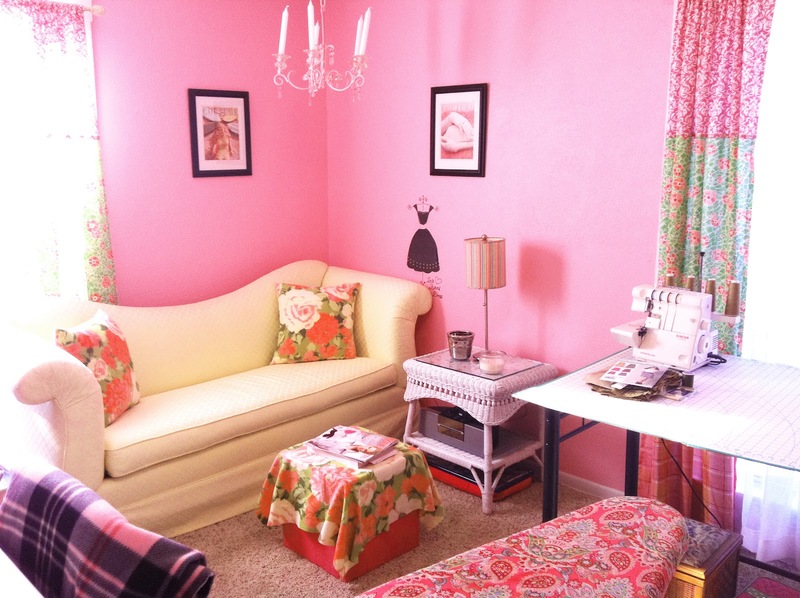 I love the couch in the room - I wish my room was as cozy looking!